Waterloo – The Lazaridis Institute has selected 10 of Canada’s most promising emerging technology companies to participate in its inaugural Canadian ScaleUp Program. The highly anticipated program will bring these high-potential firms together with an elite group of experts, all of whom have experience in scaling globally competitive enterprises. Canada is home to thousands of startups, but a recent survey from the Business Development Bank of Canada (BDC) found that only one in 1,000 Canadian small businesses grew beyond the 100-employee mark in 2013, a 40-per cent drop from 2001. Last year, only four Canadian technology companies went to IPO. These numbers do not bode well for the long term development of the tech ecosystem in Canada. The Lazaridis Institute Canadian ScaleUp Program is part of a broader effort to create conditions in Canada that will enable tech startups to thrive and grow without being bought, winding down prematurely or moving elsewhere. A panel of experts consisting of venture capitalists and leading Canadian and American technology executives considered over 100 applications and video submissions to assess each firm’s potential for growth. A short list of applicants was invited to take part in video interviews with the selection panel, from which the top 10 companies were chosen. The 10 selected firms are each at a key turning point in their growth trajectory. They hail from Montreal, Halifax, Waterloo, Toronto, Chatham and Ottawa. They have innovative, made-in-Canada technologies that solve critical problems, from managing hospital operations and optimizing complex system development, to creating better customer experiences, cybersecurity, and sourcing heavy construction equipment on an on-demand basis – to name just a few. Find more detail about each company. The Canadian ScaleUp Program will begin in Toronto on November 3, with sessions in the following months in Montreal, Vancouver, Ottawa and Silicon Valley. CEOs and founders of the participating firms will engage with experts on topics like talent management, design thinking, global markets, managing risk and funding growth. Throughout the program, companies will be provided with customized support from a mentor, tailored to the execution of their individual growth strategies. Participants gain access to the expertise they need to scale their businesses while at the same time building international networks that will enable them to take their growth to the global stage. More information on the Lazaridis Institute Canadian ScaleUp Program can be found at scaleupprogram.ca. The Lazaridis Institute for the Management of Technology Enterprises was created to support growth-oriented Canadian technology companies. Developed through investments by Mike Lazaridis and the Government of Ontario, the Lazaridis Institute helps current and emerging technology firms to scale rapidly into globally competitive enterprises. 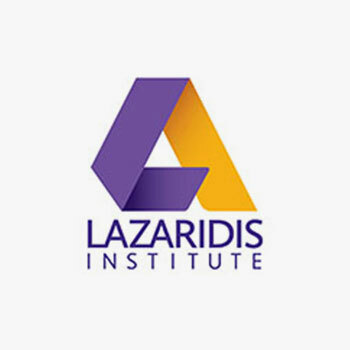 The Lazaridis Institute is based in the Lazaridis School of Business & Economics at Wilfrid Laurier University in Waterloo, Ontario, part of the Toronto-Waterloo Region Tech Corridor. We’re building knowledge and networks to strengthen Canada’s tech ecosystem, its current leaders and the students who’ll be the leaders of tomorrow.